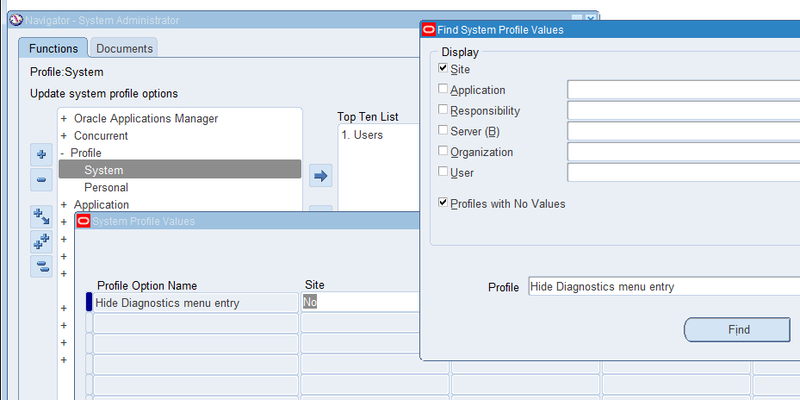 Close your Application and open it and then you will find the Diagnostics option in your Application as shown. Now your diagnostics will get enabled. 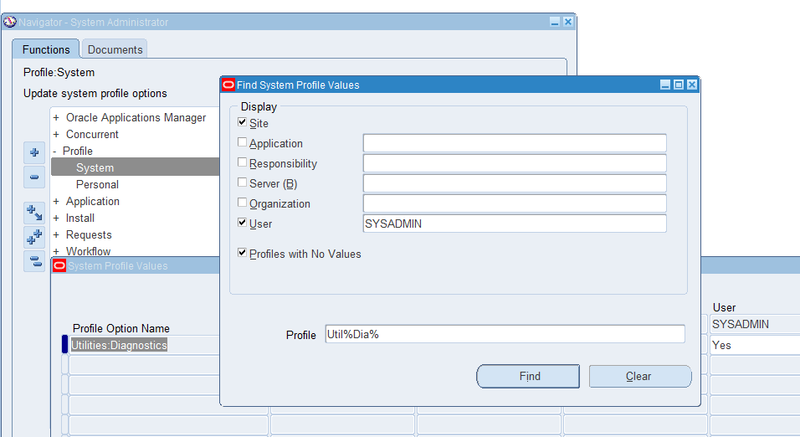 Posted on January 31, 2018, in Uncategorized and tagged Hide Diagnostics menu entry, Sysadmin, System Administrator, Utilities:Diagnostics. Bookmark the permalink. Leave a comment.